AOPA has announced the call for papers for the Second O&P World Congress to be held September 6‐9, 2017 at the Mandalay Bay Resort in Las Vegas, Nevada, USA. AOPA is seeking high‐quality educational and research content to set the stage for a broad curriculum of high-value clinical and scientific offerings at the 2017 World Congress. All free paper abstracts for the 2017 World Congress must be submitted electronically. Abstracts submitted by e‐mail or fax will not be considered. All abstracts will be considered for both podium and poster presentations. The review committee will grade each submission via a blind review process, based on the criteria below and reach a decision regarding acceptance of abstracts. Receive a complimentary one-day registration (or 50% credit towards a full conference registration) when your free paper is selected as a podium presentation. Those presenting more than one Podium Free Paper will receive a Full Complimentary registration. 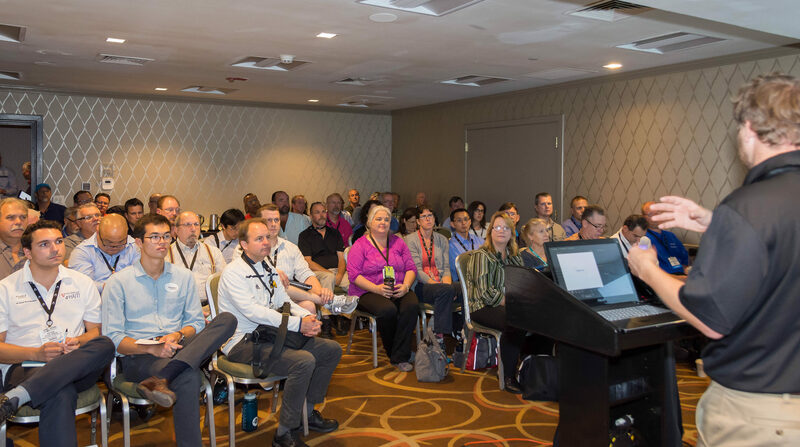 Poster Presenters will receive a 40% discount off their full conference registration. CLINICAL FREE PAPERS – Health care professionals with an interest in Orthotics, Prosthetics, Pedorthics and related fields wishing to present a Free Paper should submit here to have their abstracts considered for presentation at the 2017 World Congress. A model abstract has been provided with additional information here. SYMPOSIA/INSTRUCTIONAL COURSE – If you are interested in organizing a Symposium or Instructional Course, then please submit here. BUSINESS EDUCATION PROGRAM – Are you a seasoned business professional with significant experience in managing an orthotics and prosthetics patient care or manufacturing business? Share your successes at the AOPA hosted World Congress and compete for the prestigious Sam E. Hamontree Business Education Award. The winner of the Hamontree award will take home $1,000. Learn more or submit your business paper here. Contact AOPA Headquarters at (571) 431‐0876 or TCarlson@AOPAnet.org with questions about the submission process or the World Congress in general. Contact AOPA Headquarters at 571/431-0876 or TCarlson@AOPAnet.org with questions about the submission process or the World Congress in general.